Electric Cables Handbook provides a comprehensive and substantial coverage of all types of energy cables--from wiring and flexible cables for general use, to distribution, transmission and submarine cables. It includes information on materials, design principles, installation, operating experience and standards, and several appendices contain extensive data tables on commonly used cable types and their properties. 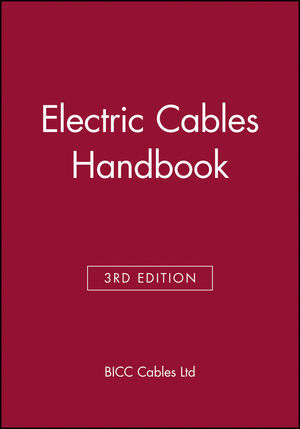 Electric Cables Handbook is an extensive source of up-to-date and essential information for electrical engineers, contractors, supply authorities and cable manufacturers. BICC Components Limited manufactures and distributes a wide range of BICC Industrial Cable Glands, BICC Cable Cleats, BICC Cable Connectors and associated accessories.